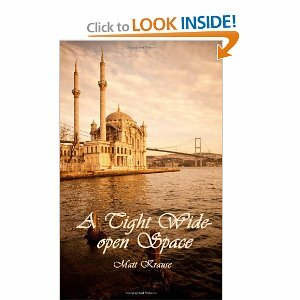 Recently I had the opportunity to read the latest book by author Matt Krause, a mid-life memoir entitled A Tight Wide-open Space: Finding Love in a Muslim Land (Delridge Press, 2011). Matt was a happily single, well-traveled, successful thirty-something businessman living in Seattle when he encountered a beautiful, intriguing woman on a flight from California to Hong Kong. Within eight months they had moved together to her native Istanbul to make a new life. A Tight Wide-open Space is Matt’s story of his cultural transition to life in Turkey, getting to know the highs (and lows) of a country vastly different than his own, slowly settling in and eventually coming to love his new home more deeply than he might have expected. There are also a few unexpected twists, but I’m not one to spoil surprises. 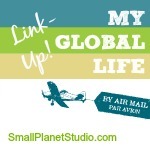 I had a chance to ask Matt more about his impressions of the expat transition and settling into life in Turkey. And now, several years and changes later? Matt was kind enough to offer an excerpt from his book, and I leapt at the chance to share Ode to Istanbul with you. So what do I think of Matt’s book? I enjoyed it immensely. It is a love story, not only of a man and woman, but of a time and a place. He writes in a straightforward, measured style that moves the story along, yet he is keenly reflective and never afraid to share his feelings. Some passages are breathtaking in their simplicity and raw emotion. His descriptive style pulls you in: suddenly you are walking the streets of Istanbul on a cold night after a lover’s quarrel, participating in the weekly slamfest that passes for a collegial expat soccer game, experiencing a terrifying attack of physical violence on a city sidewalk triggered by parking (legally) in a spot favored by an angry shopkeeper, or observing Matt and his wife sharing a few quiet moments together before they enter their wedding hall to begin the ceremony. I started the book one afternoon thinking I’d get going and cover a couple chapters before stopping to take the dog for a walk and then make dinner. When I was finally able to tear myself away, I was well into the book and had given up all pretense of making an elaborate meal for the family that night. The dog was out of luck, also. A Tight Wide-open Space stays with you, lingering in your subconscious. It’s akin to overhearing someone half-singing, half-whispering a dreamy, jazzy ballad to their beloved. In short, it is a love song for Turkey. Matt’s book is available here on Amazon in paperback, Kindle, Iphone, Ipad, etc. It’s an interesting twist on a love story and a good read. It’ll particularly resonate for those who marry into a different culture and who sometimes struggle to make sense of it all. Absolutely. People marry for love all the time, but being from different cultures and learning to understand, respect and handle differences is challenging. I can now report that the dog is back to being well-walked and the family is receiving more than my usual ‘go to’ quick dinner I save for when things are at their busiest! I should add, look out for Matt’s guest post on Perking the Pansies due to be published on the 13th October. Oh that will be fun. Looking forward to it. Linda, thanks for inviting me onto your blog, and Jack too, thanks in advance for the Perking The Pansies post, I really enjoyed writing that soon-to-appear one. On the marriage-and-culture thing, I agree, intercultural marriage teaches you how to respect and handle differences. Probably the most important lesson I’ve learned from the experience is that differences between people are more significant than differences between cultures, and we’re all familiar with negotiating the differences between people, even if we’ve never left our hometowns. Once you see it that way, it’s like getting a free pass to travel the world and always feel at home. That’s an excellent way of looking at it Matt. It narrows the supposed differences and reminds us to focus on the important things. And you’re very welcome Matt. Guess you’ll have to come back! You bet, I’ll be happy to come back anytime. 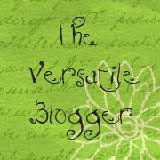 Just drop me a line whenever you want a guest post and I’ll be happy to do it. Loved the excerpt from the book, will definitely go and read the whole book. Loved that Matt regards himself as a homebody, amazing how many of us find ourselves accidental expats. Great interview! I know you’ll enjoy the book, thank you. Whether we stumble, trip, fall or leap into it, it’s an interesting life. Rarely dull, that’s for sure. Well, this summary makes me want to place all of the other books that are awaiting my attention on the back burner! So many books and what seems like so little time. Thanks for the intriguing review… I’m definitely going to place this on my list to read….. very soon!!! I believe you’ll enjoy it Carol. He has a way of describing that truly does pull you in and makes you feel that you’re there. I’m with you on the ‘too many books, too little time’ mantra. But this one was worth it. I often hear about people who met on airplanes but this is the first time I came across a first hand account. Going to be looking for this book for sure. I enjoyed that it was written in a clear, heartfelt, accessible style. Hope you like it, too. Meeting while traveling and getting together really does happen! Hi Valerie, yes, meeting on an airplane does actually happen. I thought it was just a fantasy that only happened in the movies.